Sandy Grayson is a highly experienced Clinical Neuropsychologist with skills in cognitive assessment and treatment. She has worked in public health for over 20 years, and has extensive experience working with multi-disciplinary teams and in rehabilitation. She has worked with a range of adults, including clients with medical, neurological, and psychiatric conditions. 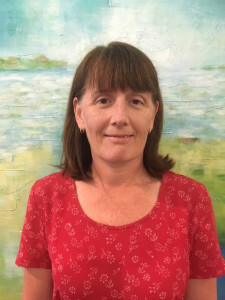 Sandy uses a person-centred approach and combines assessment of cognition, behaviour and work functioning in determining an individual’s strengths and weaknesses. Her assessments include detailed recommendations and feedback on strategies to support areas of weakness, including behaviours of concern. Sandy also offers counselling and cognitive rehabilitation treatment to both new and assessment clients. She works collaboratively with clients, families and carers on adjustment to neurological illness or injury, and/or managing thinking and behaviour symptoms. Evidence for diagnosis – do I have dementia or an Acquired Brain Injury (ABI)? How will thinking weaknesses impact ability to study or work? Sandy is available on Mondays for assessments, treatment and counselling consultations at our Ringwood office.